for $234,999 with 3 bedrooms and 2 full baths, 1 half bath. This 1,506 square foot townhouse was built in 2010. 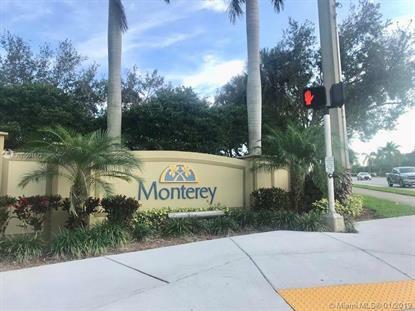 Don't miss the opportunity to own this 3 bed / 2.5 bath townhouse within the highly sought after gated community of Monterey in Boynton Beach (5 minutes from Downtown Delray Beach & Atlantic Ave!!!). Monterey is pet-friendly with low HOA and no lease restrictions. Perfect for investors and homebuyers of all ages! This Brookdale model was built in 2010 and features custom-crafted 41'' wood kitchen cabinets, tasteful granite countertops, brand new paint, new laminate on the 2nd floor, and an attic for storage.. The master bedroom boasts dual closets and a master bath with a modern glass enclosed shower.